There are lots of questions about state health insurance exchanges, and where/how they will fit in. 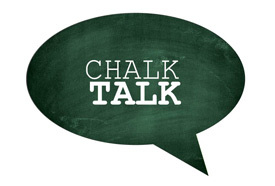 In this “Benefits Chalk Talk” post, we’re going to give you some 101 (simple) insight into these exchanges, what they’re about, and how they’ll work. A state health insurance exchange may or may not be the right option for your personal (or business) situation, but it’s a good idea to understand them. Consider them another “tool in your belt” to fund healthcare. State health insurance exchanges may be an important part of an individual or business benefits planning strategy. Although some businesses and individuals may make the decision to completely steer clear of the exchanges, others who are open to the idea of utilizing government options will want to learn more. When it comes to healthcare reform (love it or hate it), it’s important to understand that Policy Advantage Insurance Services takes an unbiased (non-political) approach to these concepts. Our goal is to deliver fact-based information to our clients, so they can put the things in place that make the most sense.